What are the Basic four terms that associated with the security management of an organization ? Security: Security is the most essential part of every organization, every human beings , it is the fundamental requirement of life, here we are not concern with the literal part of the security,we are concerned with the those factors which arise the the requirements of Security in the organization. 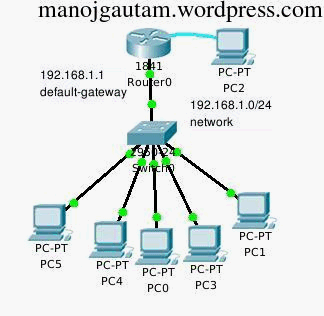 Let’s go, our prime function is to draw simple network topology and configuring the DHCP server in the cisco router, the topology that we are going to use is right just below.